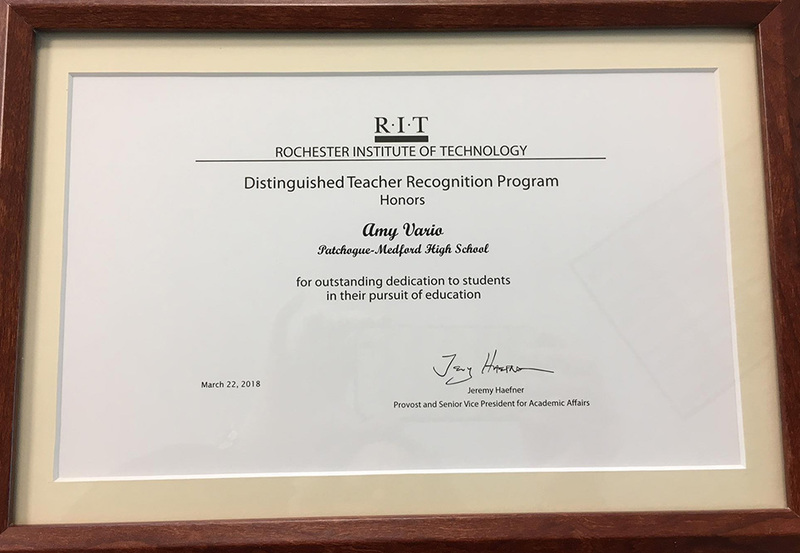 PMHS Math Teacher Amy Vario was recognized at Rochester Institute of Technology’s(RIT’s) Outstanding Undergraduate Scholar Awards as a Distinguished Teacher on, Thursday March 22, 2018, in Buffalo, NY. Mrs. Vario’s former student, Nicole Pannullo, nominated her for this recognition. Students recognized at the awards ceremony have at least a 3.85 average. Nicole was a 2015 graduate of PMHS and Valedictorian of her class. Nicole was a student in Mrs. Vario’s 7th grade Accelerated math class at Saxton Middle School. Nicole is persuing a BS in biochemistry. She is a member of the Honors Program at RIT as well as a recipient of the Women in Science Student Ambassador Award and the Undergraduate Research Award form the American Chemical Society. Nicole completed a research internship at the National Institute of Health. On campus, she conducted research on energy transfer between organic matter and tannic acid, and on proteins found on gram-negative bacteria. Nicole plans to pursue a Ph. D. in regenerative medicine. 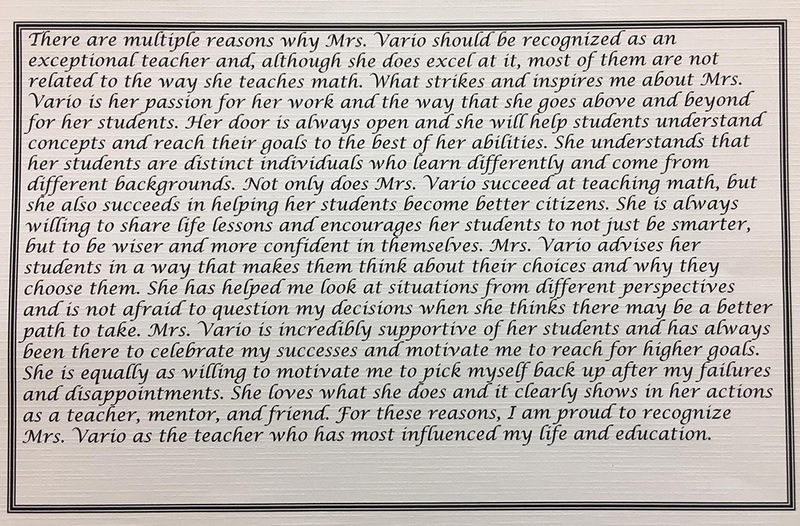 In the photo below you can see the nomination essay Nicole wrote about Mrs. Vario’s outstanding dedication as a teacher. 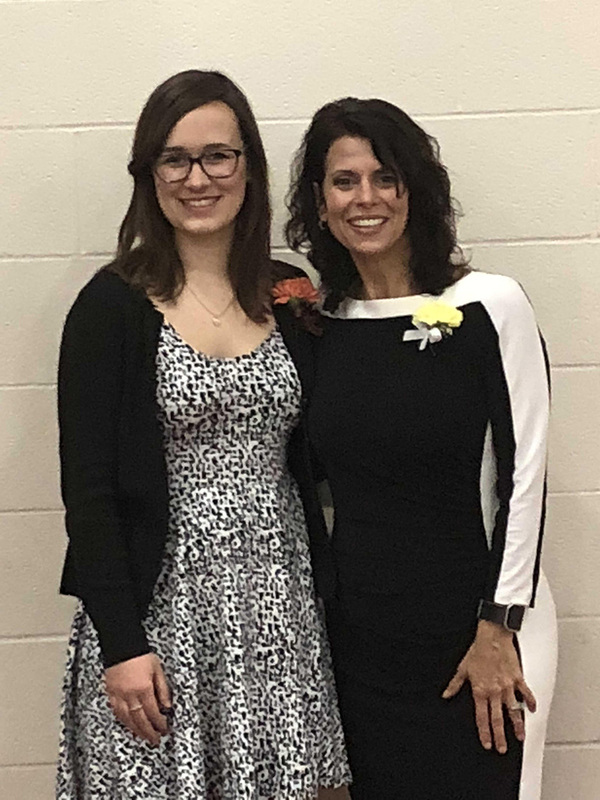 Congratulations to Mrs. Vario on this great recognition and to Nicole for all her amazing work at RIT!! 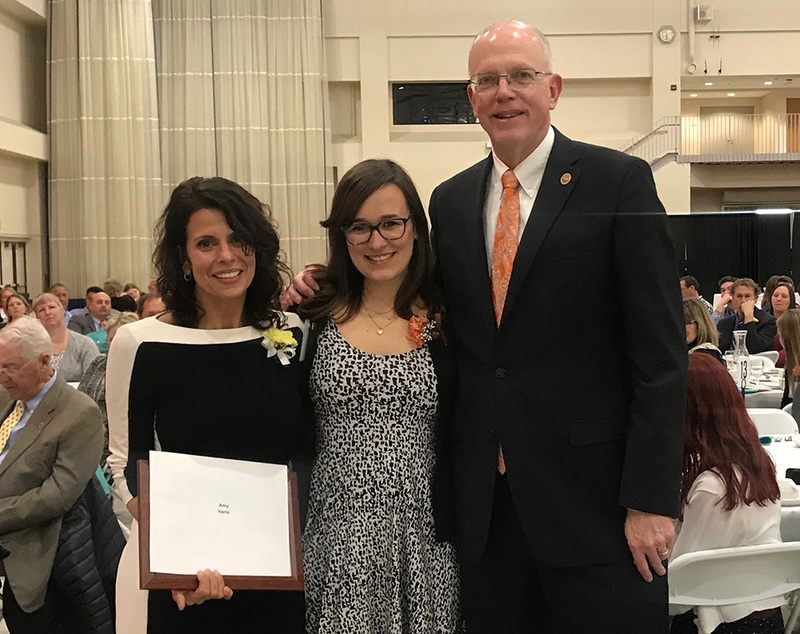 Mrs. Amy Vario, Nicole Pannullo and the President of RIT, Dr. David C. Munson Jr.